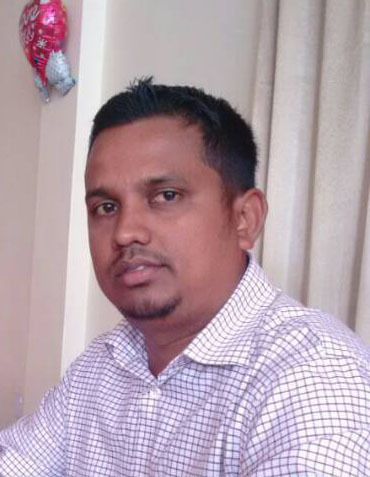 Questions are still being asked about why Haimraj Hamandeo was not allowed to assume duties as the Deputy Regional Executive Officer (DREO) of Region Two even though the Public Service Commission had appointed him. The 28-year-old professional is the holder of a Master’s Degree and was granted the position based on his qualifications. He had no choice but to retain his job as the Senior School’ Welfare Officer (SSWO) after he was not allowed to take up the DREO position. The vacancy arose after the former DREO, Sunil Singh was transferred to another region. Many are of the view that Hamandeo was wrongfully deprived of the position because of politically influential persons in the region. The persons, Stabroek News (SN) was told, had objected to his appointment on the basis that he was too young to have had the 15 years of experience, which they felt was a requirement. An Alliance for Change member, Dereck Persaud has since been appointed DREO of the region. A source told this newspaper that those who objected apparently failed to recognise the word ‘or’ in the job description and used it to attack Hamandeo, even though he was the most qualified for the position. Contacted for a comment, Hamandeo told SN that sometime early last year he saw a posting of the vacancy in his department and applied. One month later, the Public Service Commission (PSC) called him for an interview. Regional Executive Officer (REO) of Region Two, Rupert Hopkinson sat on the panel of interviewers. In July 2016, the PSC called and inform him that his application was successful and he travelled to Georgetown to pick up his appointment letter. When he showed up at the region and produced the letter to the REO to resume duties, he [REO] told him that he was in the process of conducting interviews and that he should return the next day. He returned to find that Hopkinson was using the office that he was supposed to occupy. Hopkinson then told him that his office was being renovated and that he needed to use the Deputy’s one. He also told him that he should return in a week. Hamandeo said he tried to find out what issue he was talking about and Hopkinson told him “if you want to know you have to find out from the minister”. He subsequently wrote two letters to that ministry, informing it that he attempted to assume duties but was not allowed to do so. He never got any response and was “thankful to God that I did not resign from my job” as SSWO. This newspaper attempted to contact the REO for a comment but was told that he is currently on leave and is out of the country. Reports are that an acting REO is functioning in that position in the meantime. Meanwhile, observers have said that the same procedure to appoint a DREO in Region Three was not followed. According to a source no vacancy was advertised but the position was filled five months after the previous DREO left. This newspaper was also told that no discussion was held at the RDC statutory meetings about a new DREO being appointed. The source pointed out that he just noticed “that a woman came and occupy the chair.” He later learnt that she was Jennifer Ferreira-Dougall. 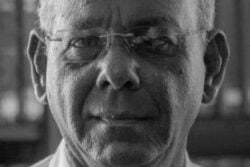 Ferreira-Dougall was a former Member of Parliament with the People’s National Congress in the 1980s and had migrated. The question to be answered is how she came to be selected. 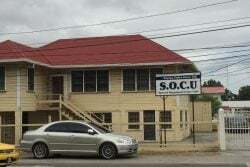 The source pointed out that Ferreira-Dougall, 63, is past the retirement age of 55 and that two employees from the region were sent home because they were 58 and 59-years-old. This newspaper visited the MoC to find out the procedure of appointing a DREO to no avail. Stabroek News also tried to seek an explanation regarding the appointment of Ferreira-Dougal and the issue with Hamandeo’s appointment and requested to speak to the Permanent Secretary (PS) but he was not in office. His secretary referred Stabroek News to the Personnel Officer, who then asked the newspaper to speak to the deputy PS, Jaigobin Jaisingh instead, after learning that the PS was not there. Jaisingh, however said he was not in a position to speak on the matters pertaining to Ferreira-Dougall and Hamandeo as he had only been serving as deputy PS for the past six week and was not familiar with the cases. If the Local Government Commission had been in place, it would have been handling these appointments.